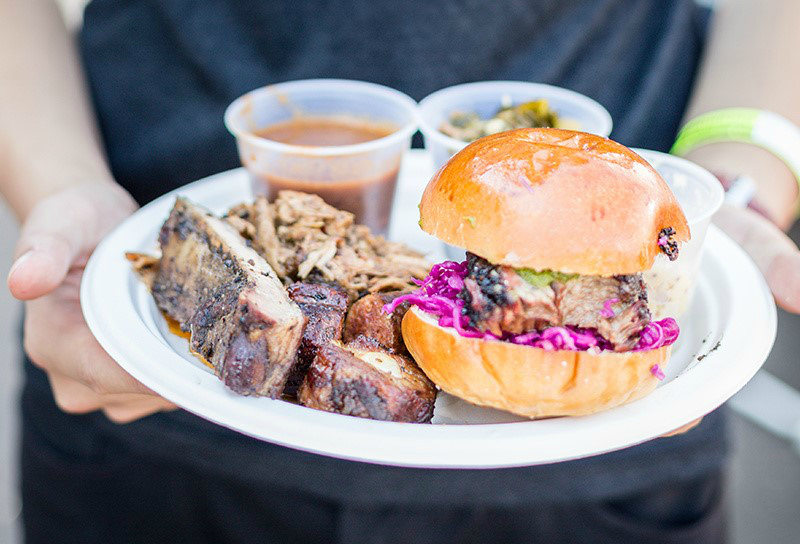 L.A. Food Bowl returns, activating spaces across the city with the year’s largest celebration of food, chefs, farmers, wine-makers, bartenders, baristas, and, of course, eaters. From April 30 to May 31, culinary enthusiasts can pick from over 100 different events, curated by Peter Meehan and the rest of the Los Angeles Times food staff. It’s a lot to digest, so we’ve selected a few can’t-miss events that you’ll want to snag tickets to while you can–but this is just a sample platter of the Food Bowl’s full offerings. Be sure to check out the full events calendar for more delicious pop-up dinners, panel conversations, charity events, exclusive meals, and more. Open the Food Bowl with this two-part event which highlights the connections between Los Angeles and Mexico City. Chef Enrique Olvera will stage a version of his Mesamérica food conference outside of Mexico for the first time, with discussions of art, culture, and food on stage at Million Dollar Theater. After the talks, head next door to Grand Central Market for DFiesta, where you’ll get an advance taste of Olvera’s upcoming L.A. restaurant, as well as collaboration bites from acclaimed CDMX and L.A. chefs. Million Dollar Theater and Grand Central Market; tickets $35-$85. Restaurants across Los Angeles decided to accept the Times’ annual challenge: Serve a special meal during the month of food bowl which highlights one ingredient, selected by the Times, and served in a bowl. This year’s ingredient is the artichoke, and participating restaurants include Cecconi’s, Akaha, AR Cucina, Union, and Angelini Osteria. The dishes are available a la carte, alongside the rest of the usual menu. Various locations and prices. Your obsession with Netflix food shows extends out into the real world with this series of screenings of food-related films. Offerings include Agave: The Spirit of a Nation, a new documentary about how our favorite spirits make it into the bottle, Gold of Naples, the 1954 Sophia Loren anthology of Italian stories, and more. Some screenings are accompanied by tastings and other special events, so check individual listings for details. Arena Cinelounge; ticket prices and event times vary. There are several really exciting collaboration dinners that take place during Food Bowl, but this one might be the most eye-popping. Vespertine’s Jordan Kahn is joined by a heavy-hitting squad of super elite chefs: Niki Nakayama (n/naka, L.A.), Dominique Crenn (Atelier Crenn, San Francisco), and Virgilio Martinez (Central, Lima). Vespertine; tickets $375. Grand Park becomes a festive scene with dozens of food vendors and pop-ups to stroll through. Admission to the main market is free; each night offers a ticketed upgrade with a special theme. Chef Collab Lab (5/8), tacos (5/9), fried chicken (5/10), burgers, dumplings noodles, and rice (5/11), and barbeque (5/12), each staffed by an impressive collection of local and visiting food pros. Grand Park; tickets free-$75. Four fantastic chefs–Tom Cunanan (Bad Saint, Washington D.C.), Chad Valencia (Lasa, L.A.), J.P. Anglo (Sarsá Kitchen + Bar, Manila), and Russell Victorioso (Cafe Birdie)–meet up with Standard Hotels creative and food director Angela Dimayuga, for a casual, rooftop “garage party.” Tickets include a beer, a plate of food, music, and hangs. For more amazing Filipino fare, Ma’am Sir hosts a multi-chef dinner on May 21. Standard Downtown; tickets $35. What could be better than a day dedicated to pizza? Your ticket includes all the slices you can eat from a wide array of local and out-of-town pizza masters, along with talks about pizza-related topics, music curated by Delicious Vinyl, craft beer, dancing, and more cheese-topped fun. Hollywood Palladium; tickets $20-$125. May 26, 27, 28, 4 p.m. Outstanding in the Field roves around the world, throwing dinner parties that are beyond your wildest dreams, lugging long communal tables into outdoor settings, and inviting local chefs and producers to share their talents. Food Bowl includes three of these dinners, in three different locations: A secret spot in DTLA (5/26), at Wiser Family Farm in Tehachapi (5/27), and along the L.A. River (5/28). Locations as noted; tickets $265. RELATED: Michelin Will Rate L.A. Restaurants This Year–But Does Anybody Actually Want That? Next articleHow Convenient Will Taking the LAX People Mover Be?